Jessamine lived her first 10 years 'in the World" with her Christian grandmother. When her Grandmother dies, the town has no choice but to leave Jessamine in the care of the Shakers, a simple religious group, set apart from the world. Jessamine has a gift for words and story telling, hearing fairy tales and stories by her grandmother's side. She desires to write down her stories and words, but it is not allowed by the Shakers. She must learn to abide by their rules. Her curiosity leads her beyond the Shaker community in search of a Spa on the otherside, simply to see a Parasol! Instead they find an injured, unconscious man that they are able to help by bringing back to the village on his horse. Jessamine feels an attraction for this man- Tristan. Sinful in the Shaker way as they live celibate as brothers and sisters. Memories of her Grandmother speaking of the Lord along with Tristan's distant memory of his own faith and how it differs from the Shakers, leads them to doubt the Shaker path. Jessamine is a strong character who so wants to do the right thing, but her curiosity is a constantly being reprimanded. The light inside her, ignited by her grandmother and prayers to the one true God, needs to be explored and searched out. Ann H. Gabhart is a gifted author who writes from her country home in Kentucky. I have 2 of her books, both set in Kentucky. I love the rich history she puts into each of her books. This story, The Gifted is about the Shakers. Near my home there is a restored Shaker Village that I so want to go and visit, just haven't managed to fit it into the schedule yet. This book sets the stage for our field trip later this fall, in giving a look at life in a Shaker Village. I enjoy learning about history and love when historical fiction can make history come alive. 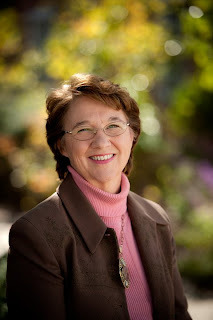 I enjoyed Ann Gabharts subtle ways of showing us how our Christian faith is different than the rule driven Shaker path. Every Weds on her FB page, Ann Shares some photos and information on the Shaker People. I love seeing the new information she shares each week. 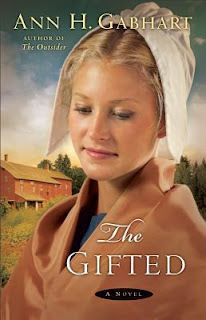 To celebrate Kentucky Bluegrass Week, Ann is giving one of my readers a signed copy of The Gifted!! Use the Rafflecopter for entries. Be sure to give her some love on her FB page! Ends Oct 3rd. US only. Kentucky speaks to me as my heartland, my home, my haven. With all its social, economical, and envirnomental difficulties, I am still so much a part of this place that I don't think I would recognize myself if I were to move out of state. When I do visit other states, I enjoy it, but appreciate KY even more when I retuen. I love Ann Gabhart's writing. Her personality lends itself to her endearing characters in her books. I would love to win, THE GIFTED! I love her books and want to review this too. So enter me to win. will be looking for Ann's books in bookstores/library. Some interesting comments coming in here. I think I must have missed one of the questions, but I do think of Kentucky when I read those words. Thanks, Melanie, for the kind review. I hope you get to visit Pleasant Hill Shaker village soon and enjoy the great tour and history there. Jane, it's always good to see your comments and good luck on winning a copy of the book. To those anonymous comments, I think I like all three of you. Hope you will get my books and I do appreciate the comment that my characters are endearing. I always want to have characters who readers will love. The Kentucky Derby with the big pretty hats. Home. My parents and sister and her family still live there. I lived there for years and never went to the Derby! I did go to Shaker village though. Lived not far from it. I think of home when I think of Kentucky. I have traveled and lived all over and Kentucky is where I chose to settle and have my family. I love the beautiful rolling countryside, the weather, the Derby, Lexington and Louisville. The town I live in, Hodgenville, is Lincoln's birthplace and there is a lot of pride about that here. I also visited the Shaker Village at Pleasant Hill when I was a teenager. I found it fascinating. Ale8, Grippos, green grass, thoroughbred horses, HOME! i think of the kentucky derby & hats! Horses !!!! and beautiful rolling hills . I loved when we drove thru Kentucky. Beautiful scenery comes to my mind. The derby and learning to say Louisville correctly. Fried Chicken! lol The country comes to mind! Horses, The Kentucky Derby, Bluegrass and a road trip our family took there once.